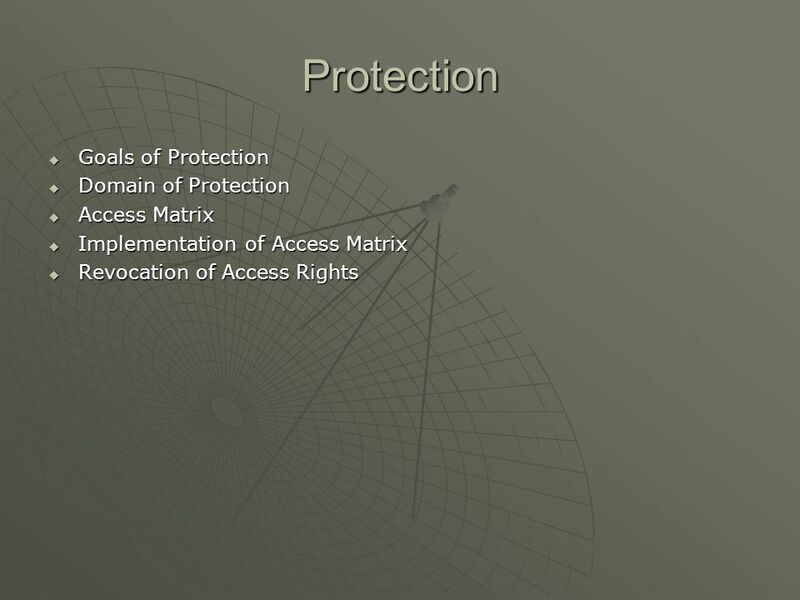 2 Protection Operating system consists of a collection of objects, hardware or software. 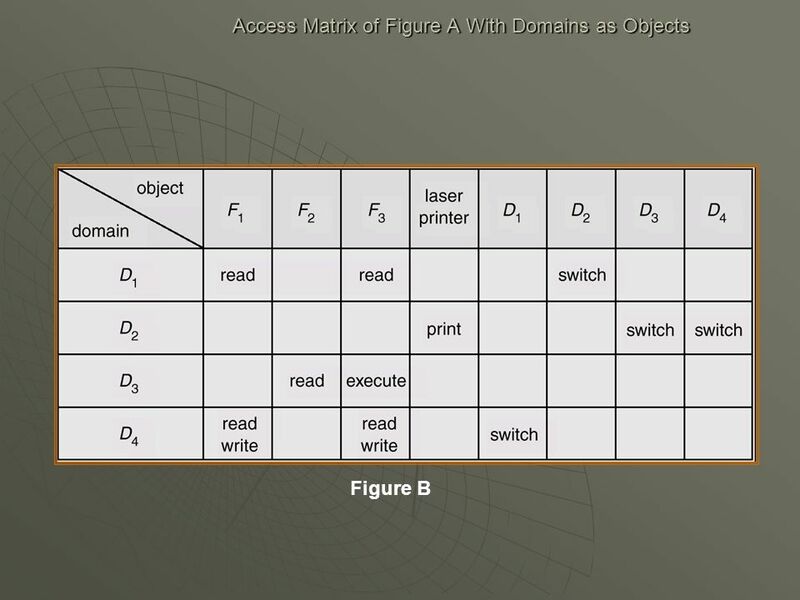 Each object has a unique name and can be accessed through a well-defined set of operations. Protection problem - ensure that each object is accessed correctly and only by those processes that are allowed to do so. 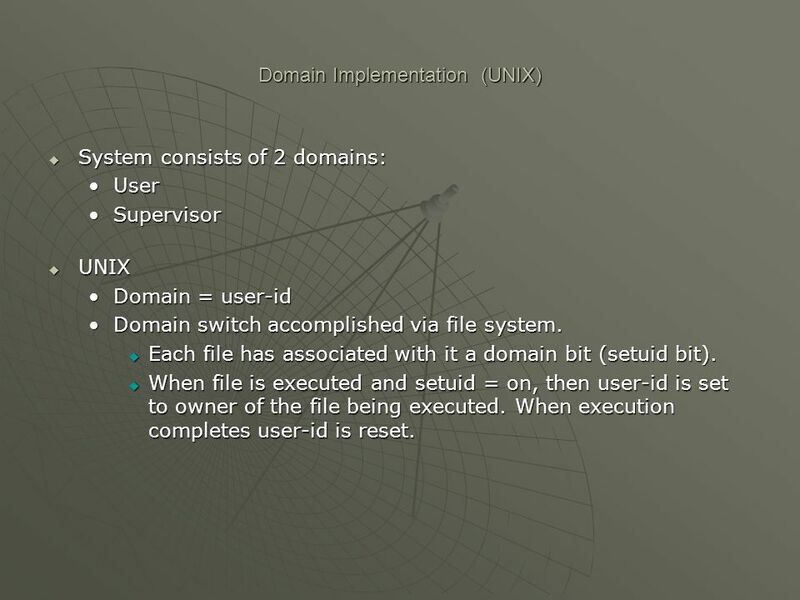 System consists of 2 domains: User Supervisor UNIX Domain = user-id Domain switch accomplished via file system. Each file has associated with it a domain bit (setuid bit). When file is executed and setuid = on, then user-id is set to owner of the file being executed. When execution completes user-id is reset. 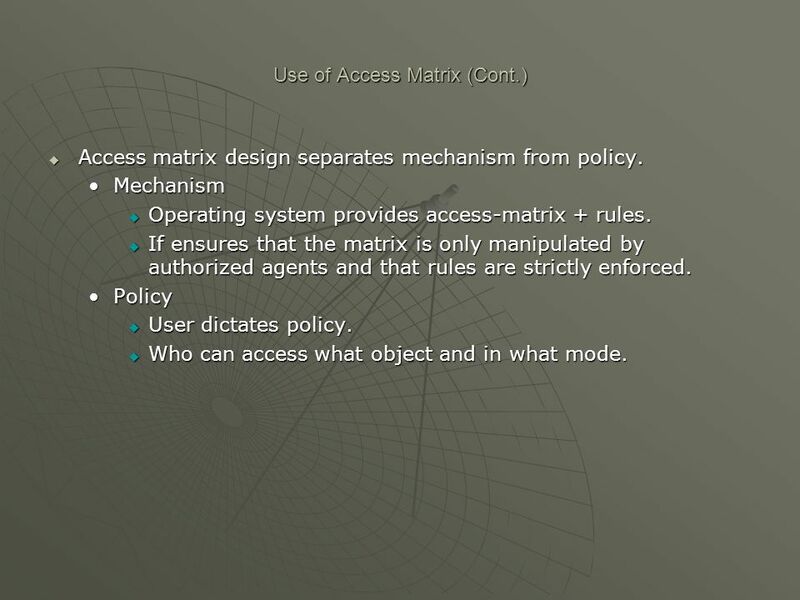 Access matrix design separates mechanism from policy. 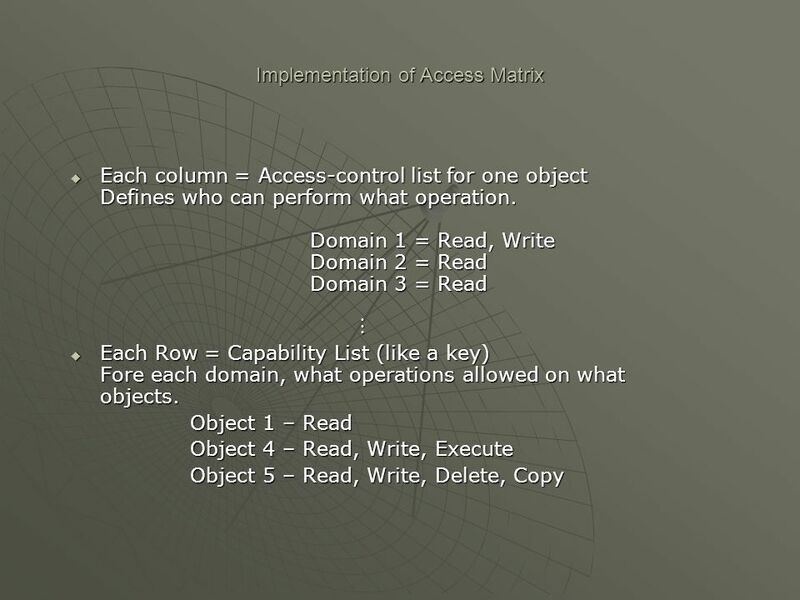 Mechanism Operating system provides access-matrix + rules. 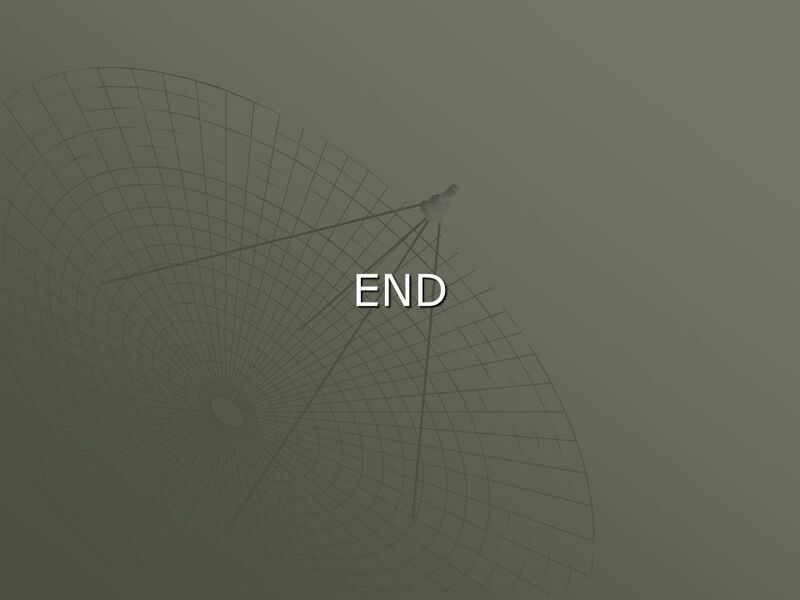 If ensures that the matrix is only manipulated by authorized agents and that rules are strictly enforced. Policy User dictates policy. 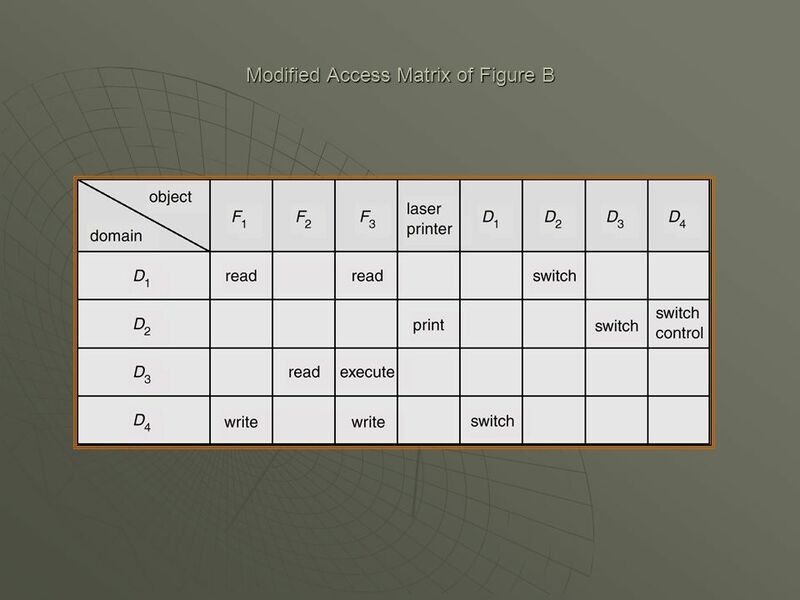 Who can access what object and in what mode. 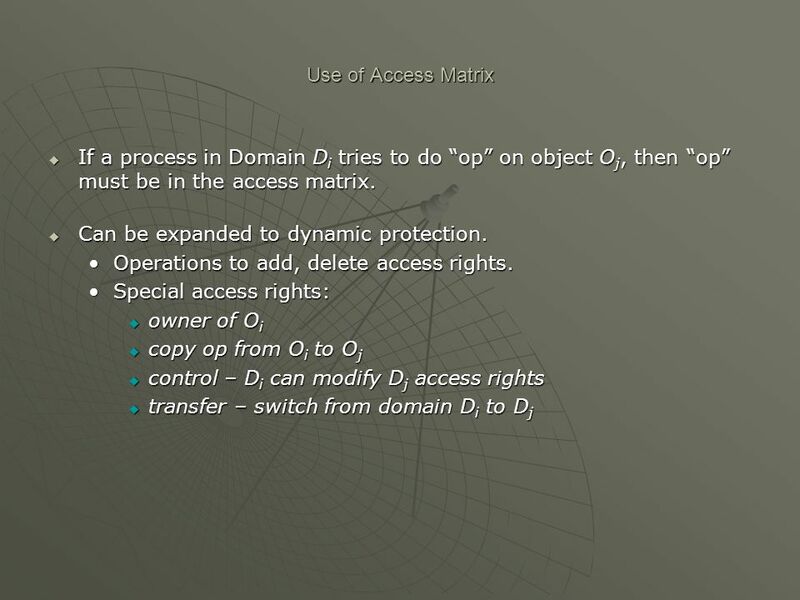 Download ppt "Protection Goals of Protection Domain of Protection Access Matrix"
Silberschatz, Galvin and Gagne ©2009 Operating System Concepts – 8 th Edition, Chapter 14: Protection. 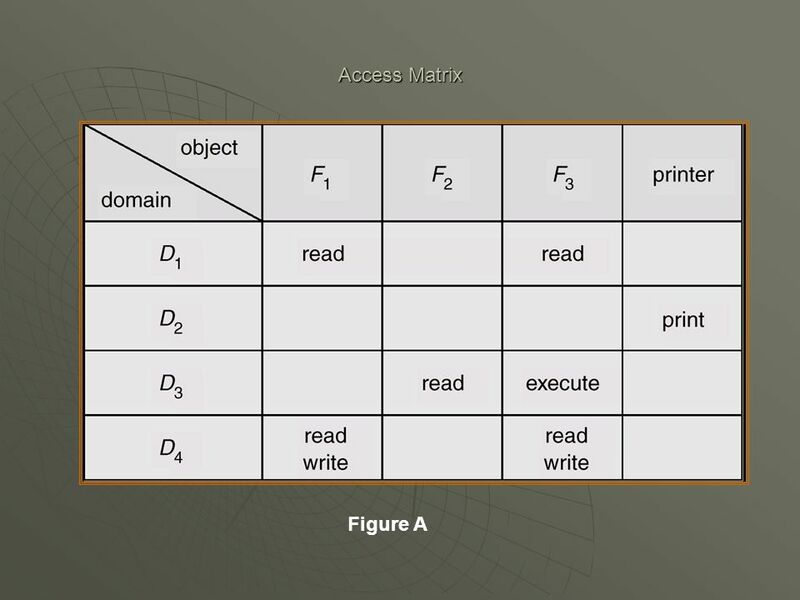 1 Protection Protection = access control Goals of protection Protecting general objects Example: file protection in Linux. Protection and Security. Policy & Mechanism Protection mechanisms are tools used to implement security policies –Authentication –Authorization –Cryptography. Protection. 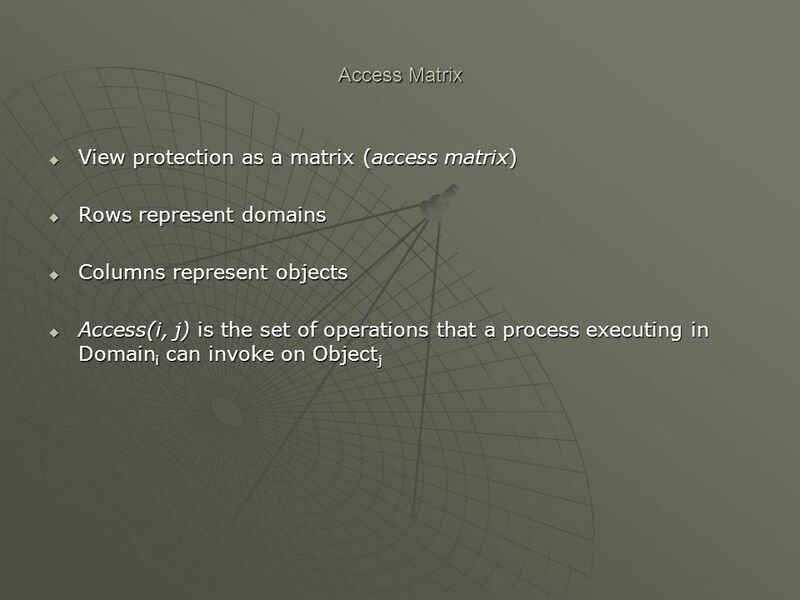 Goals of Protection Operating system consists of a collection of objects, hardware or software Each object has a unique name and can be accessed. 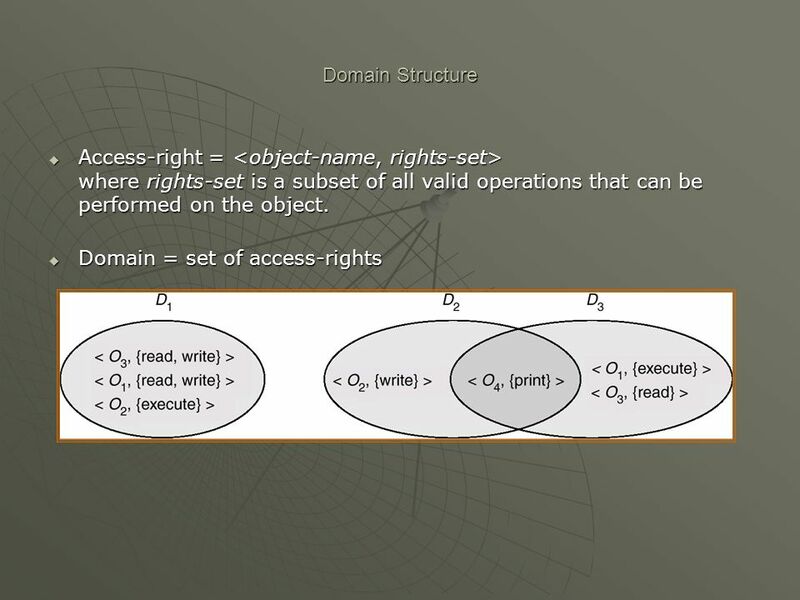 What we will cover… Protection and Security in OS. 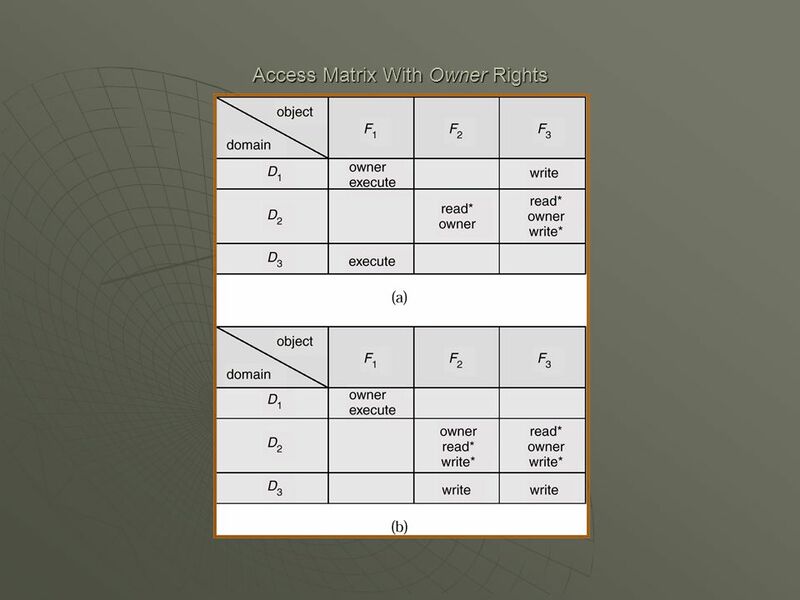 1999 Chapter 8-Protection Goals of Protection Domain of Protection Access Matrix Implementation of Access Matrix Revocation of Access Rights Capability-Based. Reasons for Protection n Prevent users from accessing information they shouldn’t have access to. 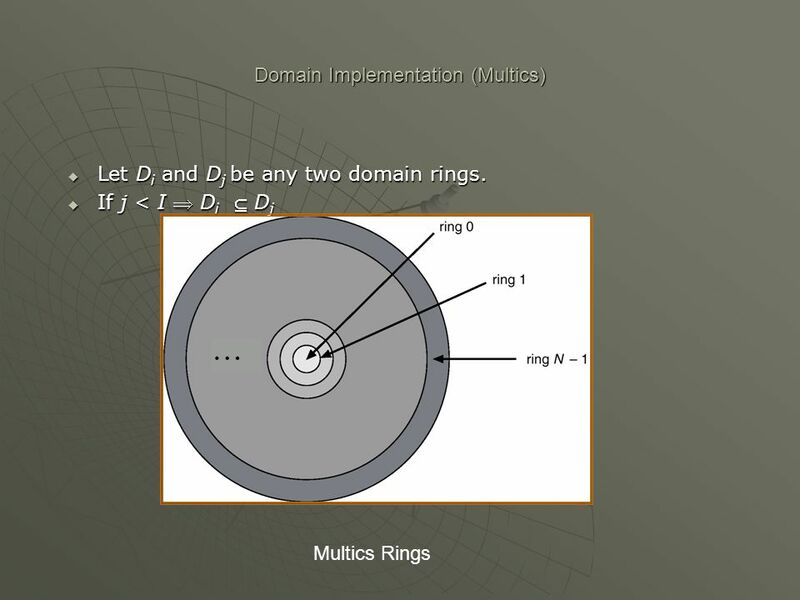 n Ensure that each program component uses system resources. 19: Protection1 PROTECTION Protection is the mechanism for controlling access to computer resources. Security concerns the physical integrity of the system. CS-550 (M.Soneru): Protection and Security - 1 [SaS] 1 Protection and Security. 1 Protection and Security Protection = mechanisms used to control access to valued resources: e.g., programs & data stored on computer system. Usually. U NIVERSITY OF M ASSACHUSETTS, A MHERST Department of Computer Science Emery Berger University of Massachusetts, Amherst Operating Systems CMPSCI 377 Lecture. 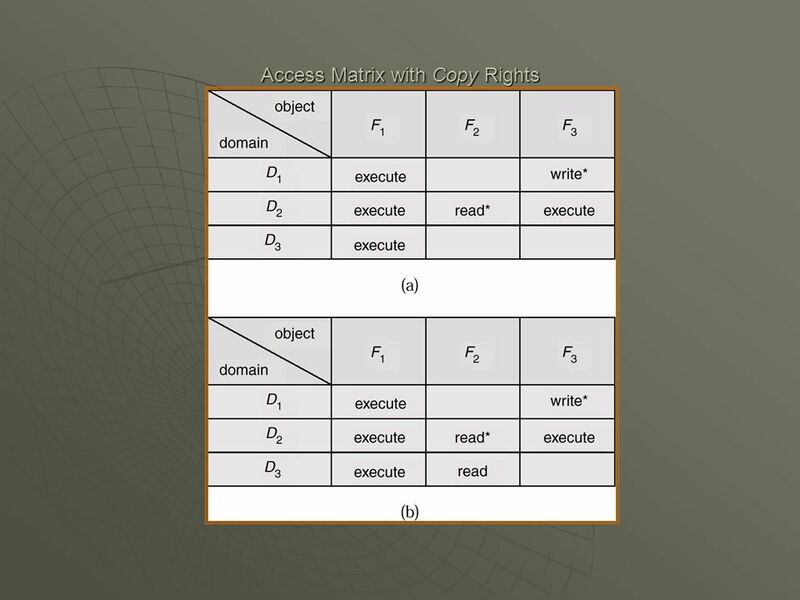 1 CSE 380 Computer Operating Systems Instructor: Insup Lee and Dianna Xu University of Pennsylvania Fall 2003 Lecture Note: Protection Mechanisms. Protection and Security (Part 1) CS-502 Fall Protection and Security CS-502 Operating Systems Fall 2006 (Slides include materials from Operating.